Skip repeated menu and go directly to page content. Welcome to San Diego State University’s solar energy website! 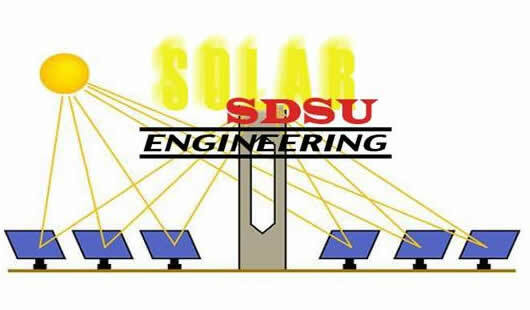 This site is dedicated to further advancement of solar energy technology at SDSU. With the increasing demand for new alternative energy production, San Diego State is on the cutting edge of development. Student senior design projects can be reviewed on this site as well as projects currently being worked on by professors in the mechanical engineering department.